A NASA photo of Katherine Johnson at work. “human computer” project that started it all. The National Advisory Committee for Aeronautics, the predecessor to NASA, started hiring women as computers (back when that was a job title for people before the advent of our current electronic devices) during World War II out of a need for non-draft-eligible employees. And they started advertising for jobs in African-American community newspapers after President Roosevelt prohibited racial discrimination in the defense industry. Much of the work that these women did received little recognition at the time. They were segregated for years, even to the point that in the 1950s, some white employees claimed they didn’t even know that black employees were holding the same jobs as them, sectioned off in a different wing of the facilities. The work they did was incredible, and you should read more about them, so here are some great sources, from both NASA and from The Human Computers Project by Margot Lee Shetterly, author of Hidden Figures. 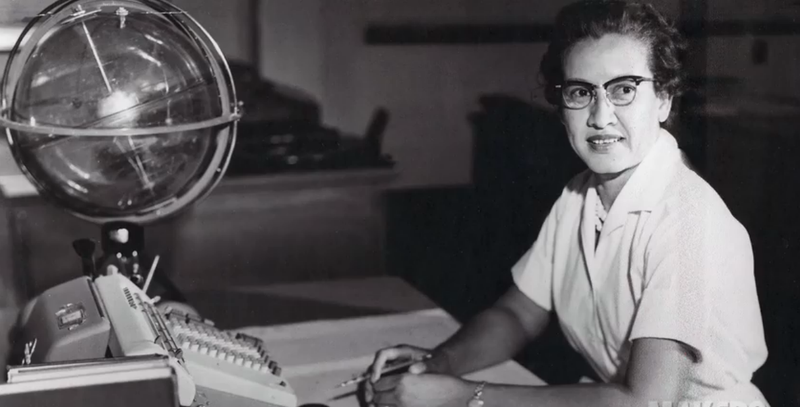 First read “She Was A Computer When Computers Wore Skirts.” NASA interviewed Katherine Johnson back in 2008 and she told her story of her life and career. The quotes in this are incredible. Then check out NASA’s own sort-of-wiki for Human Computers. It gives a good overview of what these women did and what they had to go through to do it. NASA also has a similar page for Racial Relations, covering the development of NASA’s outreach and into its work during the Civil Rights era. If you’re wondering what women had to go through at the time, even just within the context of working in the space program, read this very, very, very dated internal publication on “Miss NACA.” And you should also read this article put out by NASA years later When Computers Wore A Skirt that covers what daily life was like, from nightly curfews at women’s dormitories to segregation at Langley’s research center itself. Margot Lee Shetterly’s introduction to Hidden Figures the book is also excellent, describing how the U.S. government scouted for mathematician jobs, and how natural it felt to Shetterly personally to see black women in these positions. Shetterly worked on the Human Computers Project, a virtual museum and a reach-out program to all the women who worked at NASA. It looks like their virtual exhibitions aren’t online anymore, but you should check out the site. You should also read the Virginia Foundation for the Humanity’s introduction to the Human Computers Project, again an extremely good history of African American women getting America into space. And finally, Shetterly herself recommends reading this manuscript by Beverly Golemba, collecting oral histories from 13 women at NASA’s Langley Research Center. For decades these women and their achievements were largely undiscussed and unknown. Now, things are changing.